A total of 630 pedacyclists (individuals operating bicycles, tricycles or unicycles) were killed in motor vehicle accidents. Riders age 14 and under accounted for 12 percent of the fatalities. Among the 14 years of age and under age group, males were much more likely to be killed in a collision with a motor vehicle. Just over 75 percent of fatal accident victims were boys. Overall statistics for fatal accidents in 2009 showed a decrease in these incidents. While 74 children riding a pedal vehicle lost their lives that year, it is a significant improvement from the 178 youngsters who were killed in the same way in 2000. In 2009, a total of 51,000 people riding bicycles, tricycles or unicycles were injured in motor vehicle accidents, and 8,000 of them were children under the age of 14. Over 3.5 million children are treated for sports-related injuries annually. Approximately 50 percent of children under the age of 14 who are admitted to hospital with injuries sustained in a bicycle accident are diagnosed with head injuries. Children are most likely to be involved in a bicycle accident between May and August. Late afternoon hours (between 3 p.m. and 6 p.m.) are the most dangerous ones for youngsters traveling on bikes. A child who is traveling on a bicycle without wearing a helmet is 14 times more likely to be involved in a fatal accident than someone who is wearing one. Only half of all cyclists in the United States wear a helmet regularly. Of the 50 percent of people operating bicycles who stated they regularly wore a helmet, 43 percent stated that they always wear one and 7 percent revealed that they wore head protection more than half of the time. In the years between 1991 and 1999, bicycle helmet use went from 18 percent of riders to 50 percent. Approximately 38 percent of adults who ride bicycles wear a helmet regularly, and 69 percent of children under the age of 16 do so as well. The percentage of bike helmet owners rose in the years between 1991 and 1999, moving from 27 percent to 60 percent. The number of bicyclists on the road also rose during this period. In 1991, 66.9 million people were riding bicycles and by 1999 their numbers had increased to 80.6 million. Everyone who is operating a bicycle, motorcycle or scooter should be wearing a helmet. This simple piece of safety gear can help to reduce the likelihood of suffering a head injury by 85 percent. 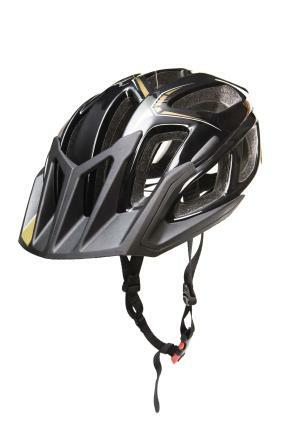 Bicycle helmets can also lower the risk of brain injuries by 88 percent. Before putting on a bicycle helmet, it should be inspected carefully for cracks or other signs of damage. Once a rider has been involved in an accident, the bike helmet should be replaced, even if there are no visible signs that it has sustained damage. Safety should always be the first consideration when traveling on a two-wheel vehicle, and bicycle helmet safety statistics reinforce this idea. Wearing them can help to prevent injuries and save lives.